Internet is a requirement for individuals and businesses today. Yet in places without wired internet service, the wireless alternatives are incredibly expensive. We recently switched back to Verizon Wireless to improve reception (other services are cheaper but that doesn’t matter if we can’t connect). 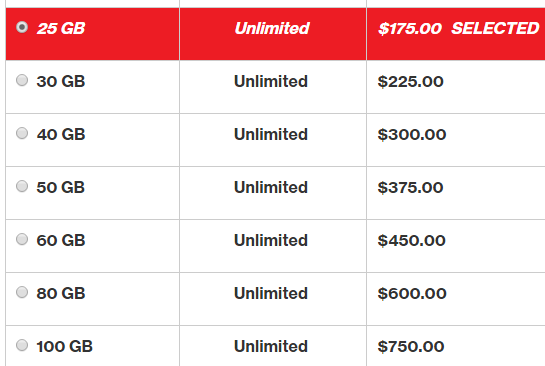 It looks like at our current rate of basic usage (no streaming) our charges will jump to hundreds of dollars per month.